When Henry who works for me contact one world saying they have a couple of new novels from Iran coming out I jumped at the chance as it is one of the few countries I haven’t read a lot from ,I only have one book under review so this is the first of two books forthcoming from One World .Zoya Pirzad is described as a rising star of Iranian fiction .She is of Iranian / Armenian descent ,she is known for using the everyday life of m Iran in her novels and lifting the lid on everyday lives of ordinary people . That year I turned twelve . Early one morning ,a few days before easter ,I stood on the balcony at the top of the stairs that ran down to the courtyard and ran my hand over the banister .No sliding down today . 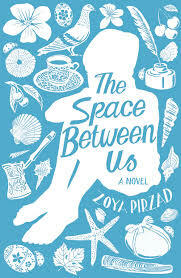 This book is called the space between us in English but the orginal title when translated is One day before easter which maybe gives you a slight Clue to the story .As the main character in this story is a Christian of Armenian descent ,his name is Edmond Lazarian .The story is of Edmond daughter who falls in love with a man who lives in the same town .Now this would be a love story ,but the man Edmond’s daughter falls for is a Muslim this leads to much tension for Edmond but also the local community . Add to this Edmond’s best friend Tahereh is a Muslim they grew up together she was the daughter of a janitor and his only friend when he grew up .This choice for Edmond daughter cause him to make a big decision about what to do ,we see later how this decision effect him and the people around him . The morning of the day after easter ,I sit at the dining room table and look at the garden .The violets lean this way and that in the breeze :it’s as if they’re finally at home in their new place . The closing lines and finally events take place after Easter . I said the original title had some meaning because a lot of these events seem to take place in the day before Easter in the book .This book was an interesting look into the everyday life of people inside Iran the mix of religions and communities is something we never see in the press .Edmond as the lead character shines a light on the Armenian community in Iran and their interaction with the Muslims .The small town where they live is mostly Armenian so the town is really the opposite to the rest of the country leading to much different views .It shows how close and how far apart to religions can be .Now I making this also sound exotic when actually it isn’t really it is down to earth it is about love ,family and friends and that could be set anywhere ,so as I said earlier Zoya Pirzad is known for her portrayal of everyday and as I have said many times on the blog the everyday in place like where this book is set a small town is very much the everyday anywhere . 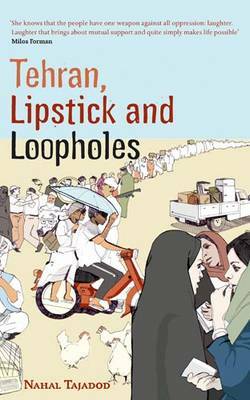 Have you a favourite book from Iran ? I got this book for my around the world challenge from the lovely Sarah at bookrabbit .It follows Nahal who lives in france but still had iranian citizenship as she has to return to her homeland to renew her passport staying with her family in Tehran .The main thing she has to do for her passport is get a islamic approved picture from a photographer this is hard than it seems as they don t advertise as they can t put pictures in the window .after a few false starts and constantly being asked by people to help out family members or fill in forms from aboard .she has the photo now to tackle Iranian bureaucracy where she has to remove make up dress modestly and hoping she is lucky with the time she has on her hands she spends time with her family .Nahal ‘s work is funny and highlights the differing standards and lunacy in iran ,a cast of oddball characters,the humour makes this book come alive make this a real page turner .i feels this book would work well as a book group book it certainly makes you think loads . tiny scarf ? >avoid saying: either you cover your head or we ll beat you > lower scarf to hide hair or gently trim the hair .